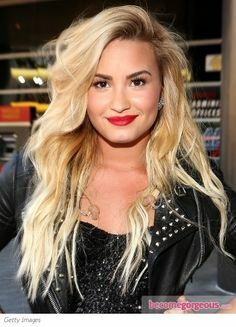 Demi Lovato happens to be an edgy girl. From her outfits to her hair. Think it is impossible to have a natural color completely edgy? Well, Demi shows us the way to. She’s an extremely platinum blonde combined with a dark brown which completely contrast one another. Pulling either side back and adding soft curls this dark brown hair color ideas totally works together with this look.